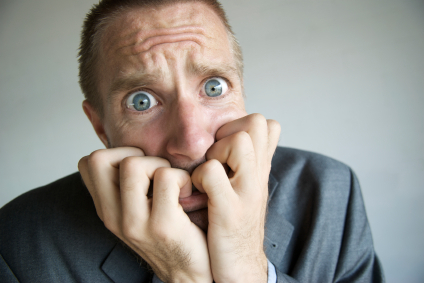 Do you have a phobia that affects your life? Perhaps you want to go on holiday but can’t fly? Or maybe you want to do some public speaking but are petrified? An irrational fear is not a phobia, a phobia has significant impact upon your life and will result in extreme anxiety when faced with that fear. So, do you want to stop doing the behaviour of phobia? Do you want to stop this negative behaviour and start to enjoy things again? What do we do to manage a phobia? I will use a process called ‘Logical Levels of Therapy’ to uncover your strategy for doing this behaviour, I’ll do this by getting you to ‘teach’ me how to do your phobia. This is a really fun process that you will completely enjoy, teaching me to do your behaviour starts to break down the behaviour for you in to manageable chunks that we can deal with. Once I know your strategy for doing this behaviour we’ll remove it altogether using a process called ‘The Fast Phobia Model’ – I’ll leave you to work out why it’s called this! With some relaxing hypnosis afterwards we’ll ensure the changes you’ve made are permanent – you’ll then be set a task to prove to your self that your phobia has gone. How does phobia management work? A phobia is a learnt behaviour, you weren’t born with the phobia were you? So at some point you chose to install that behaviour in your life. To manage the phobia we simply need to understand how you do that behaviour, uninstall it and replace it with something more positive and appropriate. I’m not saying you are going to love flying, or lifts or going to the dentist, but you will be able to go about what you need to without the crippling fear and anxiety that a phobia brings. What if you managed your phobia? How great would it be to fly again? Or stop having to take the stairs all the time instead of the lift? Or perhaps go to the dentist again and relax? These are all priceless activities that so many people take for granted – and now you can too! Fees are never based upon an hourly or daily rate but on the result they achieve, so if you can finally go on holiday again, how much is that worth to you? £1000, £2000? To manage a phobias my fee is £500 (inc. vat) in the comfort of your own home or office, plus travel expenses if you are more than 20 miles from Bridport, Dorset. The process takes a few hours so please ensure you have a quiet place that we can meet. If you prefer I can arrange a hotel meeting room provided at cost price. Please call 0845 259 1232 or email mark at mysuccessfullife.co.uk to book today.